Carolynn is an Independent Certified Financial Planner™ with over 10 years' experience in Financial Services. She enjoys helping individuals stepping into retirement, coaching businesses on tax efficient compensation packages, and inspiring individuals to make a plan for achieving their ideal future vision. Carolynn is active in her local community as the Chapter Head of a local community business leadership group, and she volunteers to provide financial literacy education to consumers. She enjoys public speaking, has served on the Advisory Committee to the Board of Directors of a regional credit union, and served as the President of a local investment Chapter. Carolynn holds the Certified Financial Planning™ designation, denoting the highest service standard in the Financial Planning industry. 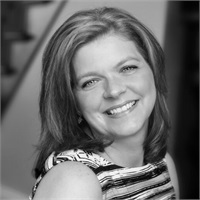 Specialties: Empathy, trust, and communication are the foundations of Carolynn's client relationships. Carolynn specializes in Estate Planning, Insurance, Investments, Retirement Plans, and College Plans.